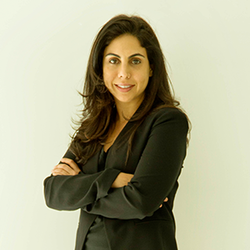 Nisa is Executive Director, Godrej Consumer Products and leads the innovation strategy for the company. Nisa also oversees the corporate strategy and human capital functions for Godrej Industries and Associate Companies (GILAC). She is responsible for driving the Group's transformation efforts, including efforts to attract and develop outstanding talent and make the culture more agile and innovative. Nisa's previous assignments within the Godrej Group have included the successful turnaround of Godrej Agrovet. She has also led the creation of a strategy cell for the Group and the development of the FMCG strategy for the Group. This has included creating a five year roadmap for Godrej Consumer Products, outlining category choices and instituting an M&A cell with a focused playbook that led to eight acquisitions between 2009 and 2011. Nisa drives the Group's 'Good and Green' (CSR) initiatives and is the point person for the operations of the Godrej Family Council. She is on the Board of Directors of Godrej Consumer Products, Godrej Agrovet and Teach For India. Nisa has a BSc degree from The Wharton School, University of Pennsylvania and an MBA from Harvard Business School. She is passionate about girls' education, the human mind, design, trekking and equestrian sports.